These Magnetic Headgear Clips are used to attach the back headgear straps to the Frame on Wisp and DreamWisp masks. 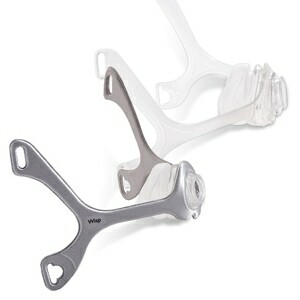 One pair of clips are included in each package. I have used the Wisp for almost 5 years. My newest mask came with the magnetic clips. I had slight issues with the old style pressing into the soft tissue beneath my ear. Small button and slightly bulky on the old style. 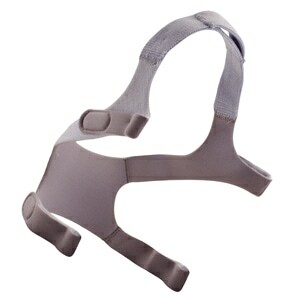 The magnetic clips have a large button and are rather thick causing extreme pressure even aftert loosening strapping. I'm glad I retained my old headgear. I'll remove the clips and replace with old clip style. After discovering that magnetic CPAP headgear clips were made to fit her machine, my wife wanted to try them. She says she never again wants to use the old style.They are easier to fasten and unfasten. You just get them reasonably close and the magnet does the rest. They are easy to separate, but strong enough to hold while sleeping. 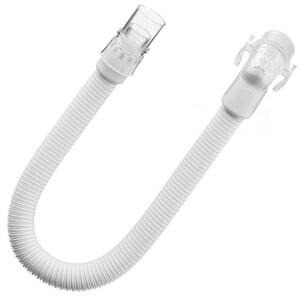 They do not fit the F20 cpap mask. 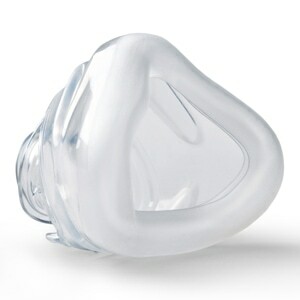 DHM Notes: Hello, it appears that you ordered the magnetic headgear clips for the Wisp Nasal Mask by Philips Respironics. 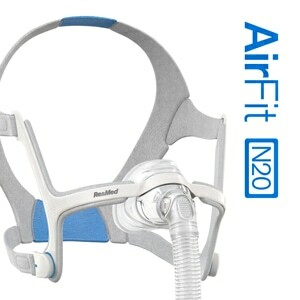 The AirTouch F20 and/or the AirFit F20 Masks by ResMed, do not have magnetic headgear clips that are sold separate from the headgear. Take care. Smart buy if you use a Wisp! These magnetic clips are so smart. I've been using a wisp for years, and the frame will wear out where you pull the standard clips out over time. I don't see that happening with these! They should just come standard with the mask set up! Great buy! A simple and great idea for the WISP masks - magnetic clips that don't wear out the plastic headgear with constant on and off. I only use one at a time as the clip I use for off and on attachment.